Mon.-Thu. 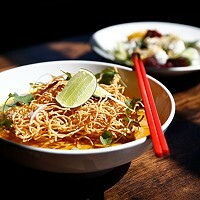 11 a.m.-9 p.m.; Fri-Sat. 11 a.m.-10 p.m. The original Casa Rasta was a big concept in a tiny space: Mexican-Caribbean fusion, primarily in street-food formats (tacos, burritos, tortas), served out of a small kitchen in Beechview into a smaller dining room. Word spread, and it wasn't long before customers were lining up. During the summer months, sidewalk tables expanded the restaurant's capacity by a few pleasant seats, and business at the take-out counter was brisk. Now, in a great example of success breeding more of the same, Casa Rasta has expanded. 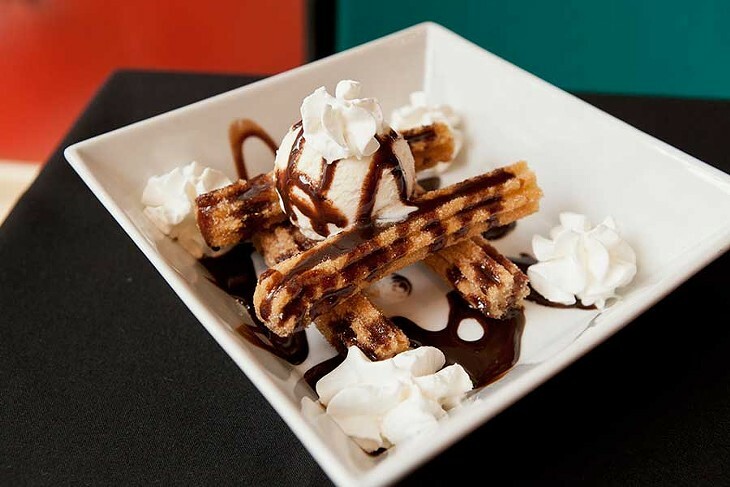 But instead of ditching its original Beechview location for a bigger, more mainstream address, the restaurant has — happily — chosen to open a second location on happening Highland Avenue in East Liberty. 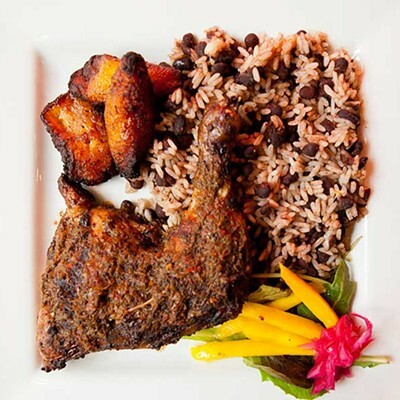 It's a great fit: the small-scale and affordable, Caribbean-accented fare, combined with the buzz of an up-and-coming dining destination. The new space — which formerly housed Abay — is still small enough to feel intimate. It's deep and narrow, with palm fronds suggestive of cabana roofs, local art on the walls and the inevitable reggae soundtrack. And with a proper dining room comes a bigger menu, with more than a dozen entrees, some of which go beyond simple mash-ups of ingredients from one place into a dish from another. 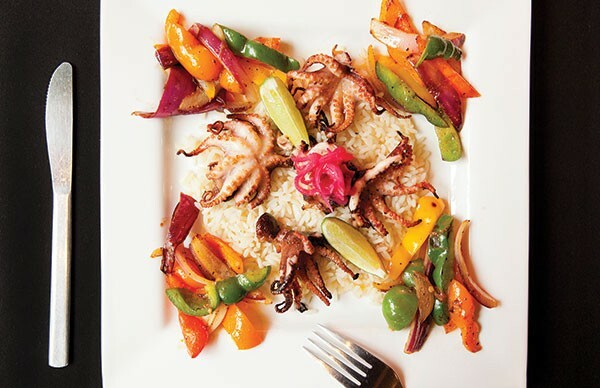 The fusion of Mexican and Caribbean food is both unique and self-evident: The two regions are geographically close and their culinary traditions are simpatico. 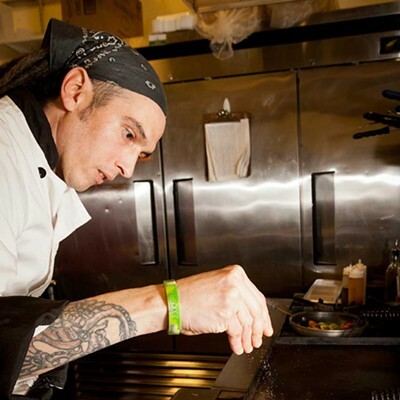 Yet, in Pittsburgh, Casa Rasta is the first to focus on the alchemy of these two cuisines. We started with the list of taco fillings and branched out from there. 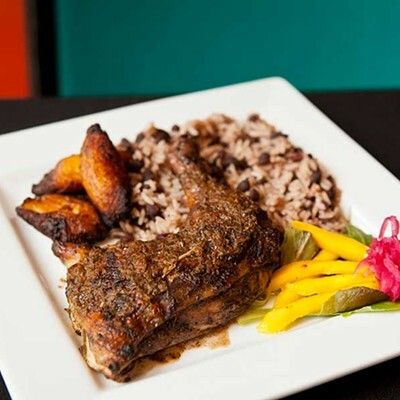 Casa Rasta offers the usual suspects — carne asada, pork carnitas, poblano chiles and potato — but also some more intriguing options, such as milanesa (thin breaded steak), Jamaican jerk chicken and shrimp curry. The fillings are all available in tortas, tostadas, burritos or quesadillas, as well. Our quesadilla al pastor effectively combined rich pork, with sweet, tangy pineapple and crisp red onion, all held together by just enough melted cheese and a well-crisped tortilla. No island presence here, but it would stand up proudly to anything on offer at a taqueria. Tinga — shredded chicken in chipotle sauce — was juicy, flavorful, and authentically folded into doubled, warm tortillas. For sausage fans, there's not only chorizo, but soyrizo (vegetarian) and chorizo verde, green chorizo, in style of Toluca, Mexico. This we had to try. In queso fundido, melted-cheese dip served in a hot skillet with tortillas on the side, the brilliant green sausage was amazingly grease-free. Its flavor was mildly spicy with hints of green chile, adding savor as well as crumbly texture to the mild white cheese. Cilantro leaves countered with their citrusy brightness and diced onion added a pungent note. The entire combination was addictive. Fried avocado was served with isleño sauce, a ketchup-red blend of tomatoes, onion and pimento olives. It offered a briny, piquant contrast to the rich avocado, strips of which held their form in a coating of crisp breadcrumbs. Chiles en nogada are Casa Rasta's version of chiles rellenos. The cheese-filled poblano peppers were draped with a walnut-studded goat cheese-cream sauce and garnished with pomegranate seeds. With these ingredients, the dish could be mistaken for an on-trend American update of a Mexican classic, but it is actually a traditional dish from the state of Puebla. (Its three colors — green, white and red — represent the colors of the Mexican flag.) That said, to our tastes — accustomed to goat cheese more parsimoniously employed as a salad topping — we found the abundant cheese-cream sauce on the heavy side. Red Stripe ribs, proudly bearing the name of Jamaica's iconic beer, were the center of an entrée platter that added layer upon layer of flavor. The ribs were rubbed with Caribbean spices, basted with a citrusy beer glaze, and then served atop a mound of rice prepared Mexican-style but seasoned, it seemed, with a hint of allspice. The only miss was black beans, perfectly textured but also perfectly bland. A healthy splash of a garlicky sauce that also came on the plate fixed them right up, but we're not sure why they were so flavorless to begin with. 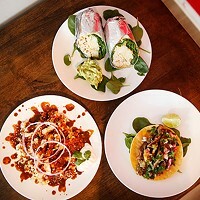 In its new East Liberty location, Casa Rasta combines the tropical, sometimes spicy flavors of Mexican and Caribbean food in more ambitious entrees as well as taqueria fare.